Visceral Games has announced Dead Space 3 Awakened, a new digital add-on in which "players will experience the franchise's darkest chapters as the Necromorph battles become even more gruesome and terrifying than ever before." The "Awakened" content will be available in March. It's priced at $9.99, or 800 MSP. The title begs the question: What, exactly, has been "awakened?" I bet it's not puppies. It's never puppies. The press release doesn't mention any specifics of the new content. 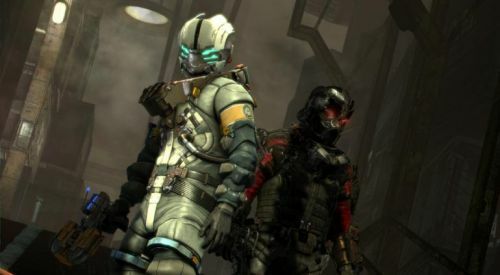 It may be a continuation of the Issac Clarke story, a prequel, or it may introduce new characters altogether, like Dead Space 2's "Severed" DLC. Visceral Games executive producer, Steve Papoutsis, had this to say of the upcoming add-on, "In Dead Space 3 Awakened, gamers will experience some of the most disturbing content they have ever seen in a Dead Space game — they are going to love it." No word on if the DLC is supports co-op play. We'll keep you informed in the weeks ahead. In yelling-at-your-TV-like-a-crazy-person news, EA gave us a handy graphic with a list of voice commands compatible with the Xbox 360 Kinect peripheral. There are even commands dedicated to co-op play. I have no idea how this is going to work. I don't know why you would ask your Kinect for more ammo instead of just using voice chat, but hey, I don't know a lot of things. Someone will have to try it out. If only there was a site dedicated to co-op gaming... Oh wait. That's us. We'll let you know how the co-op voice commands work in our upcoming Dead Space 3 Co-Op Review. For now you can gaze upon the list of verbal command cues and wonder why you wouldn't just talk to your partner. Wait. I got it. Maybe you're angry with your best bud because he screwed up that last checkpoint. This is a passive aggressive way to deal with it. "Kinect, give my partner a healthpack, and tell him he should know what he did." Mystery solved. Did someone mention a contest? 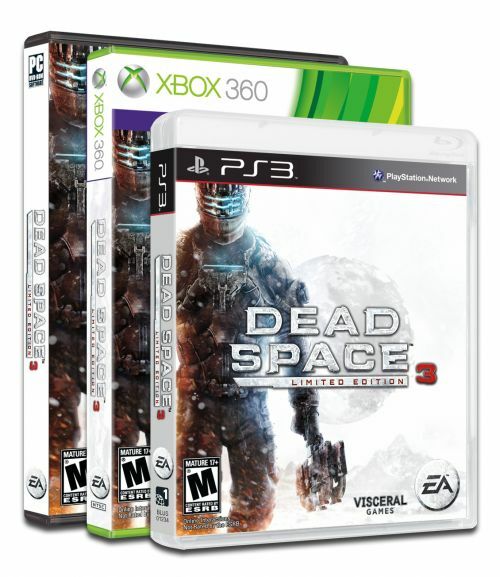 We're giving away one copy of Dead Space 3 to a reader. All you need to do is click the fancy button below and enter your info. You can enter once per day until Friday, February 8th at 12:00PM EST. The winner gets a copy of the game on their choice of platform. Contest is open to US residents only and standard rules apply. Good luck!